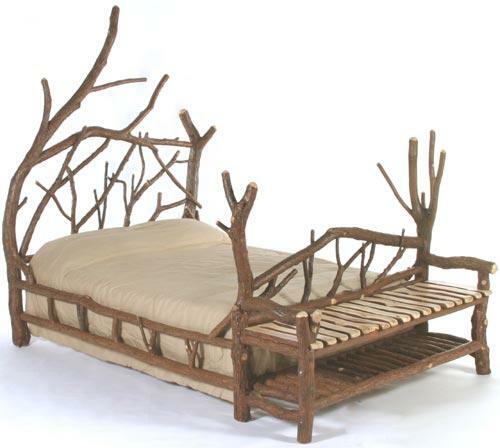 Each Freestyle Bed is an original artistic creation. This bed is one example of the freestyle form. Also available without attached bench. I would like to get a price on this bed with and without the bench, please. Is it available in other shades? The Freestyle Bed sells for $2500 for twin, $3200 for full, $3650 for queen, and $4100 for king. The one pictured is the natural wood. You can request one in ANY color; that adds 50% to the price of the bed. The attached bench is $600 for twin, $700-full, $800-queen, and $900-king, with the 50% additional for a color. I hope this answers your questions. Let me know if you have more. Thank you!